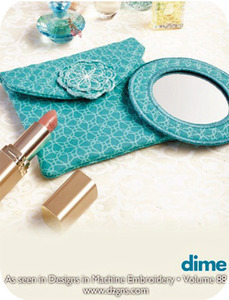 This set includes a Mirror Case & matching Mirror Pouch to hold it. 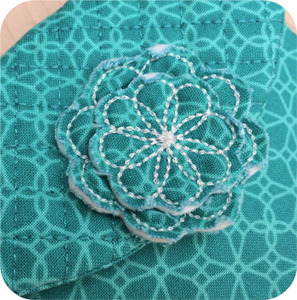 Our Quilted Mirror Case & Pouch are made 'in the hoop'. 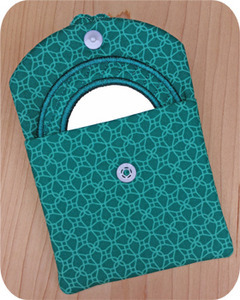 A 3" round mirror is encased in a fabric holder made easily & safely in a 4x4 hoop. 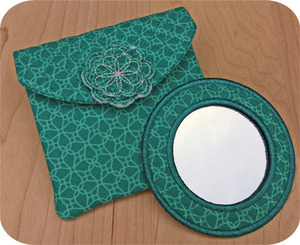 The mirror pouch closes using a snap. We've included an optional fun flower to place over the snap if desired.